Inarguably excellent director Christopher Nolan creates another masterwork with Dunkirk, a lesser-known true story of the beginning of WWII and one of the tensest moments in European military history. Nolan's prowess is established, his fame well-deserved, his films excellent pieces of art as well as incredibly entertaining moments of original content. Following, Memento, Insomnia, Batman Begins, The Prestige, The Dark Knight, Inception, The Dark Knight Rises, Interstellar; even the greats like Spielberg, Scorsese, and the Coen Brothers can't boast as solid a filmography. I guess the argument makes itself, and we should consider Nolan one of the best directors of our time, if not of all time. His latest success is just another example of his impeccable style, his ability to take a story that others might butcher and turn it into something that we will never forget. The Second World War begins with the complete defeat of England and France. German forces have invaded the countries of their choice, have routed the European forces sent against them, and look to take complete control of the world within months if their progress remains unchecked. British troops retreat to the city of Dunkirk on the coast, 400,000 strong sitting on the beaches awaiting transport across the Channel. But transports aren't coming, air support isn't available, all other British forces are being held to England, awaiting the imminent Nazi attack, knowing that defending the island will be their only hope of survival. And so the men of Dunkirk wait, as German planes pick them off, as dive bombers take out the few boats sent to their aid, as tanks roll ever closer, as their desperate last days tick off one by one. Nolan takes what could have been turned into a standard war/action/adventure flick and makes it into something refreshingly special, a film that focuses on form at the same time as plot. First, there aren't many directors who can do that, and second, there are fewer who can do that well. Nolan infuses his style into history, producing a wonderfully artistic version of reality without reverting to fantasies, dreams, and other existential musings, all of which would simply have clouded the intense actuality of the situation. 'Intense' is a word you'll hear too often describe this film, but that doesn't make it an incorrect term, as it perfectly summarizes the feeling from start to finish. Nolan and Hans Zimmer force audiences into an atmosphere of pressure and time, where each passing moment could mean death rather than redemption. One of Nolan's shorter films, the viewing flies by, as the action is non-stop and the horror of the situation never lets up. The film is done in three simultaneous segments, land, sea, and air, with the story overlapping until all the pieces fall into place, this method only aiding the drama of that fateful week and helping audiences to understand the fear of an army who had no way home. With these tricks to shatter our nerves and a hyper-focus on the true story, the acting became a side note to the visuals, but that doesn't mean that all involved didn't bring their best stuff. 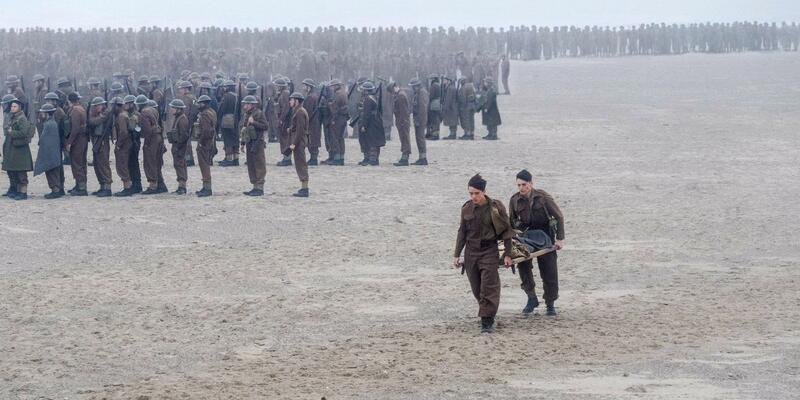 Tom Hardy and Jack Lowden as pilots, Mark Rylance as a civilian sailor, Fionn Whitehead the lead who barely spoke, Kenneth Branagh and the James D'Arcy the officers, Cillian Murphy the shell-shocked solider; each part was both relevant and powerful, necessary as an addition to a greater whole. This film is awesome in the truest sense of the word and should be appreciated by anyone with an eye for style. It leaves a lot of the standard Hollywood ingredients behind, and therefore might bother those looking for a little more of an emotional connection, but it still boasts one of the most compelling true stories you will ever witness. For my money, Interstellar is the same intensity but adds a perfect soundtrack and an incredibly touching emotional story, making it one of the best movies I have ever seen. 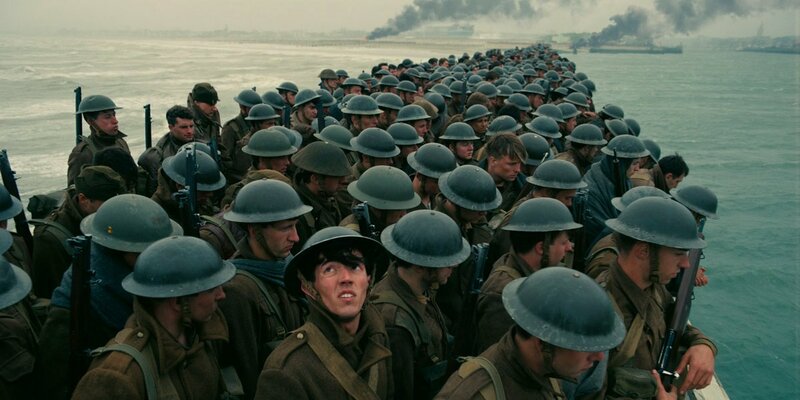 Dunkirk is a step below perhaps, because it doesn't offer those added elements, but it still delivers some of the most captivating scenes ever brought to the screen and should be considered one of the very best movies of the year.